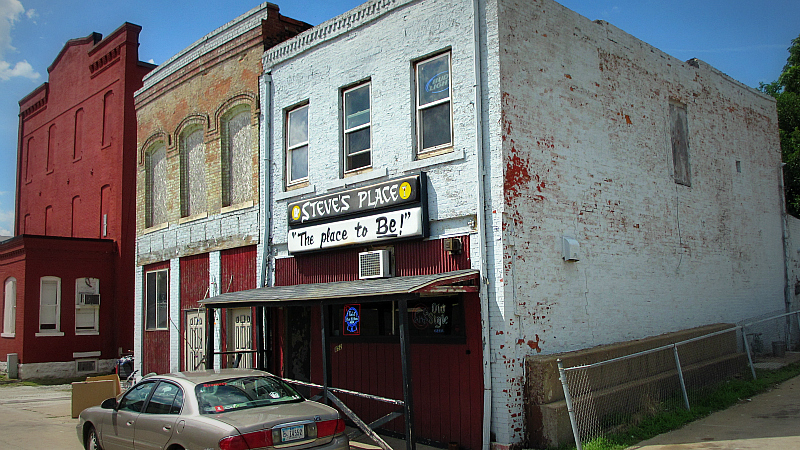 Steve's Place has a sign that claims it is "The place to be!" Although I would not have entered based on the message on the sign, but the print ad reading "our homemade tenderloins are great" made this stop necessary. 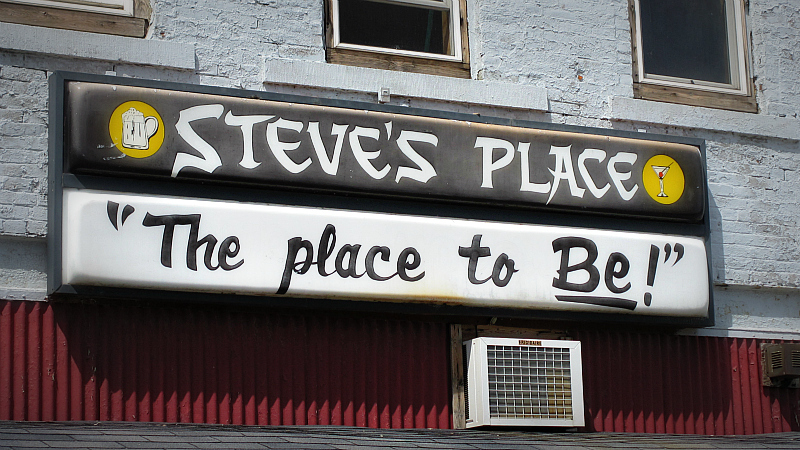 This bar on the edge of the downtown area of Burlington is a real dive, a dive among dives. Location: 852 Washington Ave in Burlington, Southeast Iowa. Directions: You can get here by taking the Main St exit from the state highway and turning on Washington St. The Tenderloin: I had to grab one to go because there was no light inside the bar. This felt like six ounces of in a shapeless form in a delicious golden brown color. The tenderized meat did was a bit limp and seemed to flop over the toasted bun. 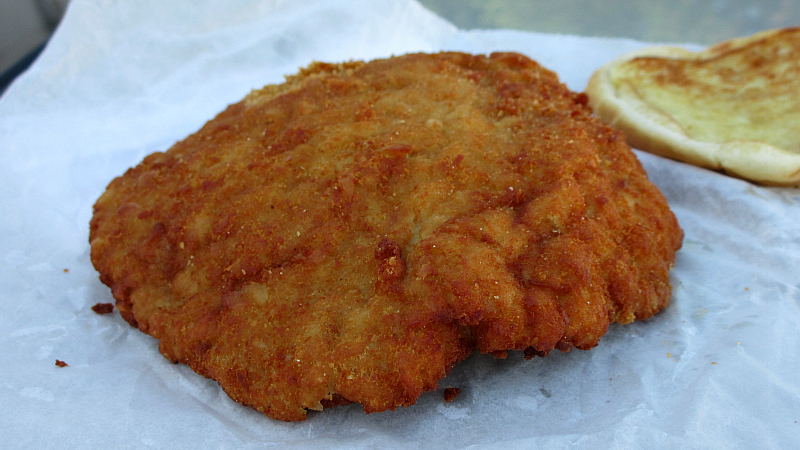 The breading had little seasoning and steam from the meat took away any kind of crunch. 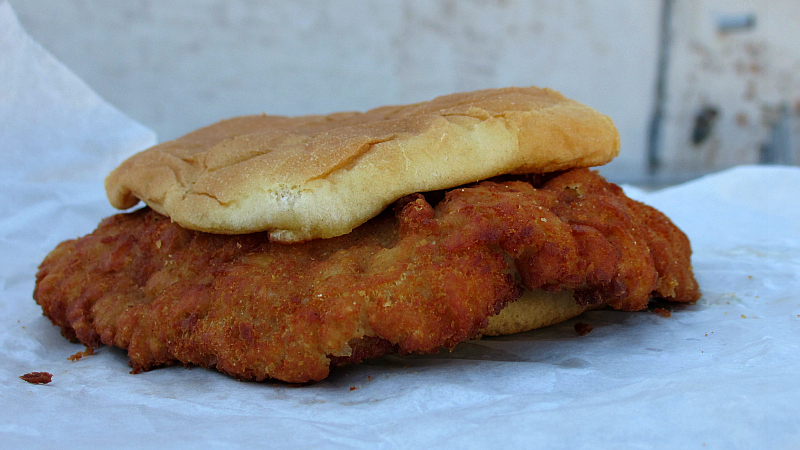 This was still a decent dive bar tenderloin. Overall 7.5 out of ten. Also on the menu: mostly the usual fried stuff you find at every bar, along with steak and burgers. I think Thursday is taco night. Service: I think the grill is only open from five to nine in the evening. You need to sit at the bar to get service. Ambiance: This is a dive bar decorated with photos of Marilyn Monroe and figurines of knights in suits of armor. The building is old and the bar fixtures are showing their age. There was a crowd of people standing outside the door smoking. Final Thoughts: I've had tenderloins at several places in Burlington so far and none have stood out or above the Short Stop in New London or the Apron Strings in Mediapolis. My next stop in Burlington will probably be at Jerry's Main Lunch on Main Street.